The Automobile Club of Southern California, the Ventura County Auto Theft Task Force (VENCATT), which includes the California Highway Patrol, the Simi Valley Police Dept., and the National Insurance Crime Bureau (NICB) teamed today to expand car theft prevention with free vehicle window VIN etching at the Simi Valley Police Dept. “Window VIN etching makes a vehicle less desirable to thieves, because the process make disassembly at a chop shop more difficult and the parts less able to be resold,” said the Auto Club’s Simi Valley Branch Manager Therese Romanchuk. Although auto theft is declining nationwide, it remains the number one property crime in America. The CHP Vehicle Thefts Facts noted 1,820 car thefts in Ventura County in 2017 and 1, 353 vehicles taken so far in 2018. The Simi Valley Police Dept. saw 118 vehicles stolen so far in 2018 in its jurisdiction, while in calendar year 2017 there were 112 vehicles taken. California was the top state again for auto thefts in 2017, with the theft tally at 175,351, a rate of one vehicle stolen every three minutes and valued by the FBI as a $1.3 billion loss. Top stolen vehicles were late 1990s and early 2000s Honda Accord and Civic. “Although viewed as a property crime, most suspects arrested for vehicle theft are also involved in other criminal activities,” said Simi Valley Police Dept. Public Information Officer Steve Shorts. “Some vehicles are also targeted by car thieves to steal third-row seats in SUVs, airbags, in-car entertainment and factory navigation systems and paperwork to steal identities,” said VENCATT’s California Highway Patrol Sgt. Annie Vaught. 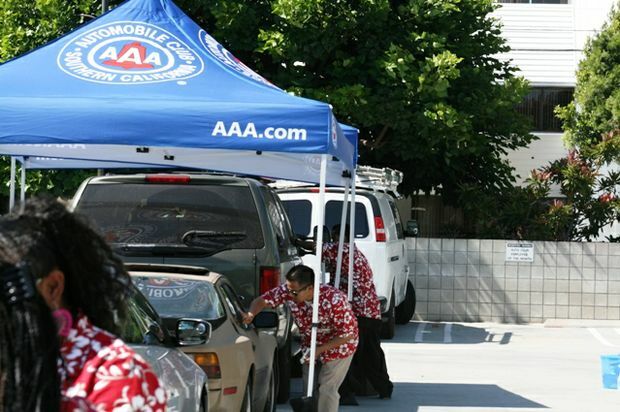 “Working together, law enforcement and organizations like the Auto Club are able to help educate our community to better protect themselves from being victimized by car thieves,” said the National Insurance Crime Bureau’s Mark Lupoli.